This year has been one of the quickest years in…. ever! Who I was when this year began, and who I am now, are almost like two different people. Life no longer feels like it did back in January. This has been one of the scariest, most humbling and one of the most gratifying years in recent years (possibly ever), and I am still overwhelmed at how much has happened, and how much is yet to happen. Amidst all these whirlwind like changes, I can only stop, look up and be grateful, and dare to hope for better days. So if anyone needs me, I’ll be at the corner of Gratitude lane, making my plans for the last month. 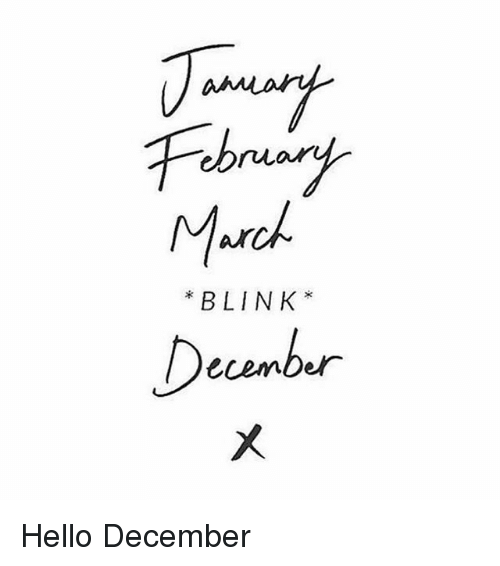 Hello again, December, what say we close this year in style! There are very few moments in life when I’ve felt 100% certain that what was happening (or about to happen) was meant to be. This year alone, I’ve experienced such a certainty. Twice. You just know. No rational explanation to it. Just 100% conviction that something is yours. The first time it happened, it turned my life upside down, and I thought 2018 was done, and that the rest of the year was about getting used to the new change, and level up. Soon after, the second instance happened, which literally knocked the wind out of me. I didn’t expect it. But change (as it was meant to) happened. From the first moment, I just knew this was mine. Mine for the keeping. Mine for all lifetimes. I’ve been seeing signs ever since, that have reinforced this knowing. It may not make sense, or I probably won’t be able to do justice to it trying to articulate it. But when something is yours, you just know. There’s no better feeling than that. So when the universe sends you signs, and you’re wondering what it could mean, dig a little deeper, I’m very sure you already know. 5 years ago today, I started this blog. I vividly remember yearning to create something that was all mine. Something. Anything. I needed more than the monotone of what my life had become. So I started this blog, fussed over the theme, thought long and hard about the voice. I created a space to write my heart out, post pictures, post quotes, poems, anything, my space to be creative, and do whatever I wanted. Effloresce23 was born. In a way, this little corner of the internet was (still continues to be) my savior. 5 years later, it continues to be my favorite place on the internet. I’m most grateful for how it has blossomed and what it means to me. Its so easy to spiral out of control into the abyss of bleak hopelessness, and its just as easy to elevate into feelings of joy and love. Its amazing how much of our lives is shaped by the quality of our thoughts. Like I can literally think myself into ANY mood. I can feel ecstatic and joyous, or I can think myself into sheer agonizing pain. One of the hacks I’ve recently tuned into is ritual-ising things, making simple activities feel more meaningful and significant, taking the time and effort to do routine activities, and mono-tasking. One of my Sunday rituals which helps me prepare for the upcoming week is to sit in reflection, and allow myself to write things that make me feel grateful, sometimes even just phrases, it really helps me take on the week ahead.